Today, Sunday, I had the privilege to be the guest preacher at the church I’ve been attending while in Montpellier. 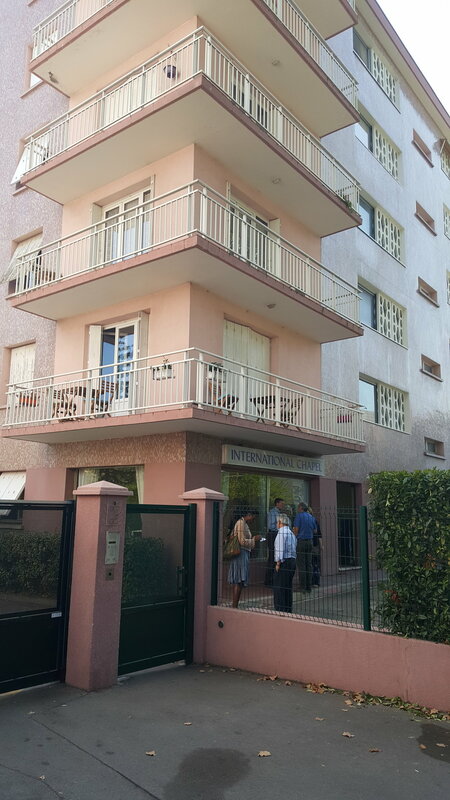 It’s an English speaking fellowship called the International Chapel of Montpellier and it is a missionary outreach with other “Chapels” in different French cities. Their focus is English speakers, whether they be ex-pats living here for a season, full time students, or anyone wanting to practice their English. It is a wonderful, welcoming body and I have felt right at home from the start. They meet in a rented first floor space in an apartment /office building about a 15 minute walk from my language school. About four weeks ago, I felt a God-prompting to offer to substitute for the pastor, John Coules – to preach one of the remaining Sundays. 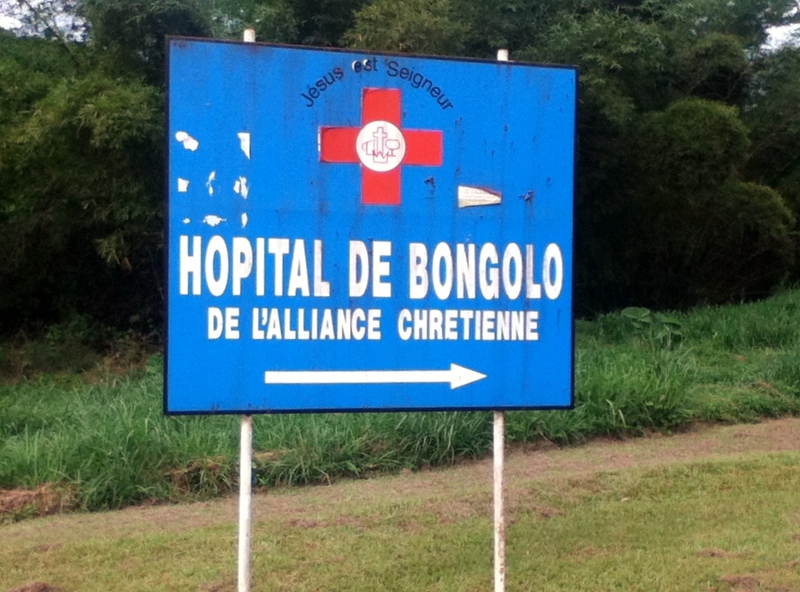 I had been wondering if there were some way to bring the needs of Bongolo Hospital more to the forefront at the Chapel, but wasn’t certain how I could make it happen. Also, I was up to my eyebrows learning French and wasn’t sure I could handle preparing a forty-minute message. I guess that’s where my human nature hit a brick wall. There wasn’t any way I could make any of that happen in my strength. In addition, I was a literal stranger and a short-timer at that. So, I surrendered the urge and left it to God to either make it happen or not. When I volunteered, it was at the end of an afternoon together with John at the church assembling and installing an IKEA-like diaper changing station into a concrete wall. As you would expect, we laughed and told stories while we worked. The project brought us together, and it was an easy time together and rewarding for us both. So, I volunteered to speak if John felt that was a good idea. I had the sense he could use the break. John told me he appreciated the offer and would pray about it for a couple of days. I assured him that either a yes or no would be OK, and meant every word. I think I’ve inherited my Dad’s philosophy around preaching: he did the best he could whenever he spoke, but didn’t “love” the pulpit like some pastors. I’m the same way. Imagine my joy when John emailed me and took me up on my offer! I had already been praying over consolidating my four messages around God’s call of Gideon in the book of Judges, and the message began to take shape. I had never used PowerPoint to do a sermon, so creating the slides actually took longer than determining and fleshing out the teaching points and stories. More than anything, I wanted to encourage this small congregation that God wants to utilize their individual and collective skills and talents to get stuff done. God would meet them where they are today and go from there. That’s exactly what he did once he got Gideon’s attention. At the end, I wasn’t sure if I had made any impact at all, when person after person approached me and said they felt like God wanted them to hear that message today. For example, one English lady visiting friends was going to go to another church but ended up with us and today was exactly what she needed. The mom of a young girl (they are Chinese) came up and told me that her daughter said she wants to be a missionary doctor! A college-age German young woman told me how she senses God wanting her to change paths, but she’s not certain which direction to go in, yet, but that today encouraged her to take the first step. Finally, a retired Engish woman and her French husband who had just moved to Montpellier to retire, told me that they wanted to get more involved at the Chapel. They felt they were too new, and I encouraged them to both get settled in and to to talk with John and his wife, Robin (I also mentioned this to John and Robin asked him to act surprised when the conversation happened). Like Gideon when he realized the Lord was going to give him a miraculous military victory with only 300 soldiers, I was overwhelmed and worshipped God! To top things off, John and Robin’s twenty-something daughter was unexpectedly home this past week. She has been teaching in an Israeli Christian school and had to take care of some Visa requirement by returning to France for a short period of time. As it turns out, John got to spend much more time with his family by having me speak today. Neither one of us saw that one coming, that’s for sure! Today was a perfect “final step” in my time in Montpellier. I have one more week of school, but today was the climax of my trip. To think that I brought God’s word to a French church! What an amazing God we serve.